What is "psychological" and/or "archetypal" Astrology, and how does it differ from what is considered to be more "traditional" astrology? Put simply... in "psychological" and/or "archetypal" astrology, the ancient planetary “map of the soul” is looked at through the lens of depth psychology as pioneered by the 20th century Swiss psychiatrist Dr. Carl G. Jung, MD. Dr. Carl G. Jung’s “map of the soul” was (and is) for the "healing of soul" through rediscovery of, and reconnection with, meaning and deeper purpose in life. 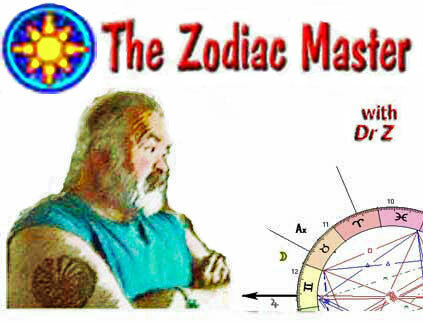 Having hailed from a "Jungian" and/or "archetypal" way of looking at the psyche prior to knowing "squat" about astrology - it's natural and necessary that as an astrologer Dr Z views the true heart of astrology as the "healing of soul" through rediscovery of, and reconnection with, meaning and deeper purpose in life. 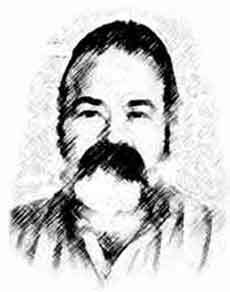 Frankly... virtually everything on this site is written from Dr Z's "archetypal" perspective... however, in this section of articles, specifically on the subject of psychological astrology, Dr Z will focus in on and: (1) introduce readers to Dr. Carl G. Jung, MD (2) discuss some of the basic ideas and tenets contained in Jung’s “map of the soul,” and (3) discuss a little about why (and how) archetypal astrologers insist on incorporating many of Dr. Carl G. Jung’s ideas into the way they do their astrology. Surprised? Sure... the idea that archetypal astrology (or any astrology) concerns itself with the healing and/or health of the soul might come as a wee bit of a surprise! Frankly, Dr Z can't blame anyone for being surprised. And then the only brief flirtations many folks ever have with astrology are through the entertaining pop astrology of “Sun Signs.” “Sun Sign” astrology includes all those things that you’re probably quasi-familiar with: daily horoscope columns, zodiac sign descriptions, romance and compatibility based on your zodiac Sun sign, and the annual tabloid predictions given by astrologers at the beginning of each new year. 1st in the series on Archetypal Astrology. God in the Psyche - What sets apart the theories of Dr. Carl G. Jung from the majority of other modern psychological schools of thought? 2nd in the series on Archetypal Astrology. Astrology is an ancient tool that - in concert with Jungian psychology - can support us in purposes of self-discovery, soul growth, and being "brought to completion." Why is astrology in the 21st Century still based on Ptolemy's geocentric model of the universe (where the Earth is considered to be the center of the universe)? The cycles of sour and sweet, dark and light, are all necessary parts interwoven into the whole tapestry of a life fully lived. I'm feeling a little testy today. I was just reading an article about the "psychological 70s" and how those years had somehow threatened to dilute astrology. Astrology and the Persona What do most people first see when they first meet you? Let There Be Light (and Dark) There is a long held Jungian depth psychology concept that overly identifying with "the light" constellates its compensatory opposite, shadow and darkness. This Shadow principle applies on both an individual and a societal level. For astrologers, "how fated is the future" seems to be the one question underlying virtually every other question that clients ask us on a daily basis. 4 part series of articles on fate and astrology. When making a comparison between Western astrology and C.G. Jung's brand of depth psychology - in this 3 part series we naturally begin with the similarities between Western astrology's 4 elements (Fire, Earth, Air, and Water) and Jung's 4 psychological types or functions (Intuitive, Sensation, Thinking, and Feeling). 5 part series of articles. On Friday evening June 6, 2003, my mother passed on from life in her physical body in order to begin a new life and journey. Like it or not... death is a natural part of life and our individual journey. The 5 part series of articles, "A Time To Live, A Time To Die," is meant as a tribute to her, her life, and the unwavering love that only a mother could have. For Much More on Carl G Jung: see the Unus Mundus section of this site.